A few days ago, one of our very favourite artists, Robert Moore brought a brand-new exciting exhibit to display at MAD. 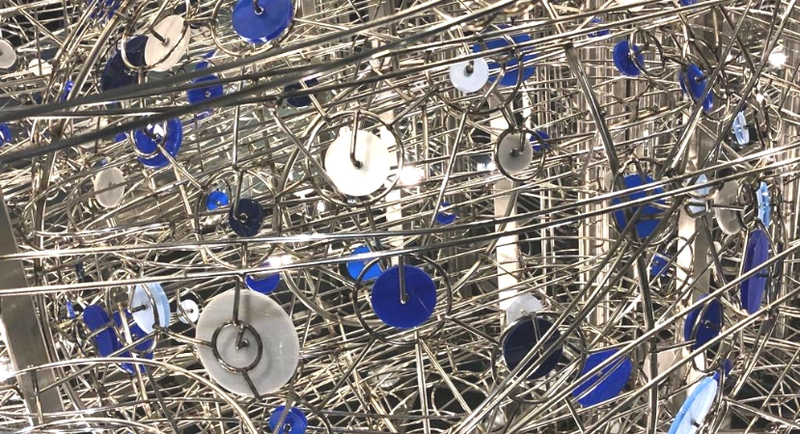 Since we first opened our museum in 2012, Robert has exhibited several fantastically whimsical and clever rolling ball machines and ‘Infinitram’ is the latest. 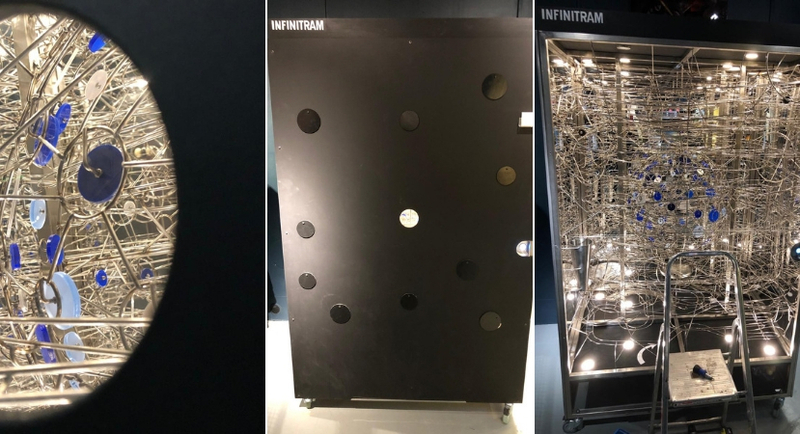 After some technical issues in which the Team at MAD struggled to manoeuvre the exhibit carefully into the museum meaning that we had to close the museum for the day and take half of our staircase apart, we finally put the ‘Infinitram’ into its new home. He hopes that curiosity, the large black front and the loud whirling sounds it produces will make people gravitate towards this exhibit. Come and see what you think?! Robert Moore first started building rolling ball sculptures in 2008. Since setting up his own garden shed as a workshop and learning how to weld, he has produced a number of wall-mounted and freestanding machines. His hobby soon accelerated and he has since been commissioned to create sculptures by private individuals, a luxury hotel, and a pharmaceutical company.